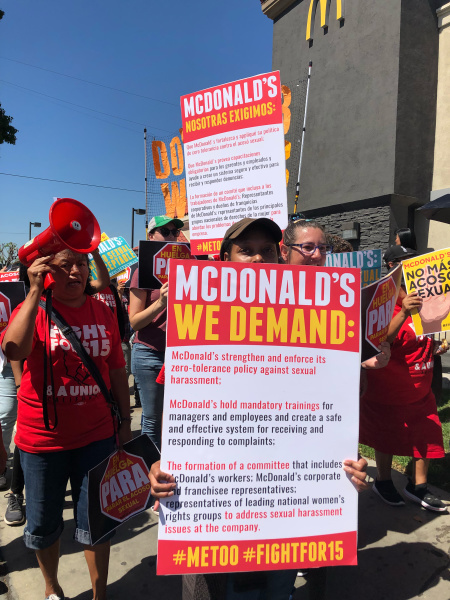 A 10-city, nationwide protest took place Tuesday to draw attention to workplace sexual harassment in another powerhouse industry: fast food. 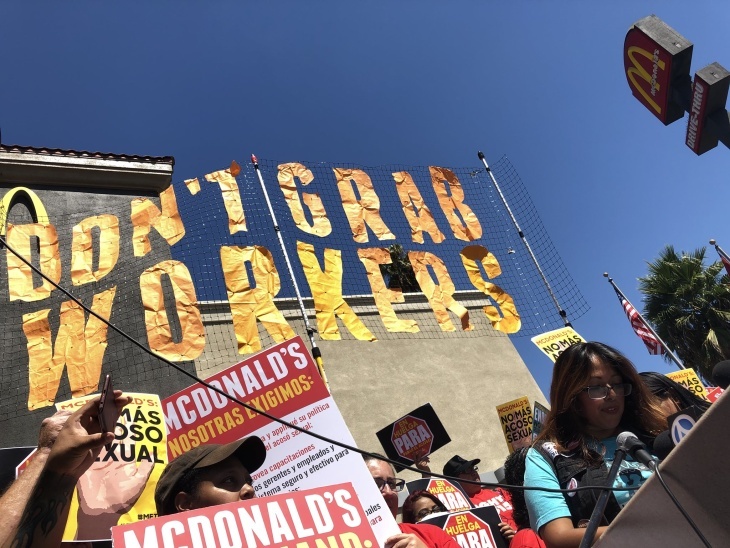 In South L.A. about 100 people, mostly Latinas, marched to a McDonald's restaurant at the intersection of Figueroa Street and Florence Avenue after gathering at a nearby park. The #MeToo headlines generally aren't about what happened in a fast-food restaurant bathroom between a line cook and the franchise manager. One critique of the movement has been that it could do more to highlight the stories of working class women. The goal of today's coordinated walkout and protest is to highlight how toxic behavior by people with power — whether a studio mogul or a motel manager — infects every level of society, and every industry. The strike was organized in part by SEIU's Fight for $15 campaign and the Time's Up Legal Defense Fund, intended to subsidize legal costs for victims of workplace sexual abuse.